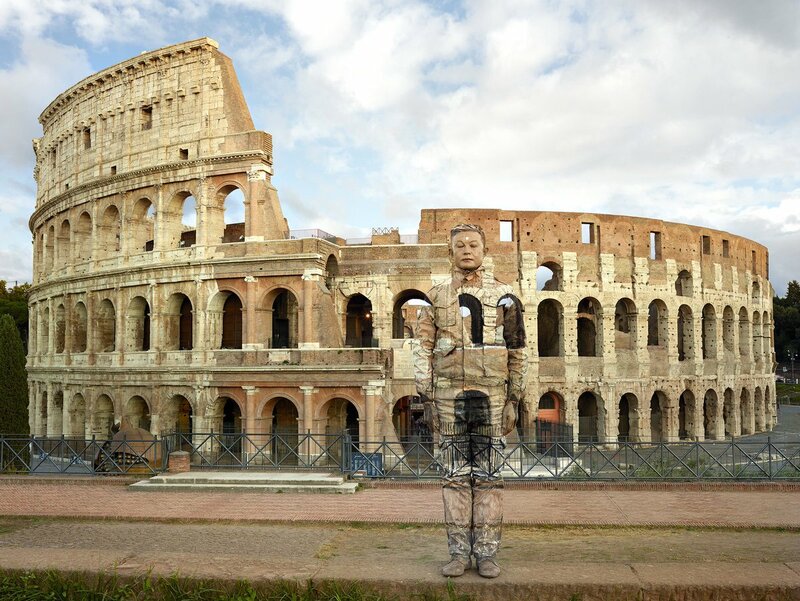 The first major exhibition in Italy dedicated to Liu Bolin , the Chinese artist called “the invisible man” for his extraordinary perfomances in the art of camouflage and beloved by the international public. From March 2 to July 1, 2018 the Vittoriano Complex – Ala Brasini in Rome hosts a major anthological exhibition through the exhibition of over 70 works. The exhibition path, developed in seven thematic cycles, tells the story of Liu Bolin and traces the artist’s poetics: from the first performance in Beijing up to the most recent shots of 2017 at the Royal Palace of Caserta and the Colosseum, on an ideal journey between China – with its famous buildings, its myths, social issues – and Italy. Under the patronage of the Lazio Region , Rome Capitale – Department for Cultural Growth and the Italy China Foundation , the exhibition is produced and organized by Arthemisia in collaboration with the Galleria Boxart, and is curated by Raffaele Gavarro. Allows entry to the exhibition without the need to lock the date and time slot. The open ticket must be converted into the ticket office on the day of the visit. the CartaFreccia holders with AV ticket (FrecciaRossa and FrecciaArgento), in digital or paper format, with which Rome is reached (on a date before the maximum three days from that of the visit) paying a full entrance, will be entitled to a gift for a companion, valid for immediate entry into the exhibition. The same facility is valid for regional transport passengers, upon presentation of the Trenitalia subscription (not integrated Metrobus) and identity document and to travelers in possession of a simple regional or supra-regional Trenitalia ticket, valid for the same day access to the museum, useful for reaching Rome.